In December of last year Jim Best was found guilty of breaches of the Rules of Racing by a BHA Disciplinary Panel for supposedly ordering a jockey to give ‘stopping’ rides to Echo Brava at Plumpton on 14th December 2015 and Missile Man at Towcester on 17th December 2015. In effect he was – in our view incorrectly – found guilty of ‘aggravated handicapping’. Category 2: the horse has been ‘handicapped’ in its early races – in other words it has either not been running on its merits or been purposefully ‘stopped’. Category 1 is plainly not a breach of the Rules of Racing whereas Category 2 obviously is. It is true to say that the findings against Jim fell towards the more serious end of the Category 2 spectrum in that he was found (in our view incorrectly) to have instructed a jockey to take improper steps to actively prevent the horses in question from performing to their true ability – not because he had layed them but in order to obtain artificially low handicap marks to be exploited in later races. But what strikes us as odd is that while the means Jim supposedly employed (i.e. instructing the jockey to stop the horses) received a great deal of media attention, the alleged purpose of the offence – (i.e. obtaining artificially low handicap marks) was largely ignored. This article argues that, to punters, there is no practical difference between the two Categories identified above and those commentators who mount their soap boxes only when there has been a finding of breaches of the Rules of Racing do the sport a disservice. During the course of a randomly selected three-day period in late March 2017, we looked at the winners of three handicaps who had just received their first Official Ratings having had three runs in novice or maiden races. This strikes us as weak logic upon which to expect any significant improvement for a horse that had the lowest RPR rating in the race. But the market clearly agreed with it as Atlantic Storm – a horse beaten 40 lengths at a price of 80/1 in its previous run – started its first handicap the 11/4 favourite. 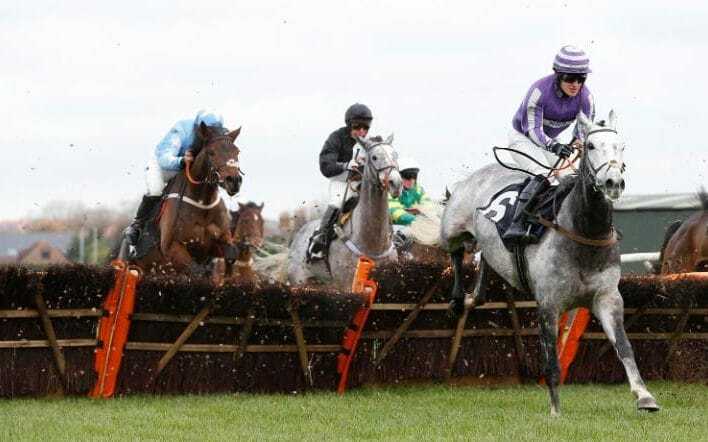 On Sunday 26th March African Tiger ran in his first handicap hurdle. In his three novice hurdles he had been beaten an average of just over 70 lengths and had started at prices of 33/1, 50/1 and 125/1. Yet the Racing Post Spotlight said that it would be “… no surprise to see him fare considerably better now into a low grade handicap.” Again the market, which made African Tiger 5/2 favourite, agreed. African Tiger’s RPR rating based on his previous form was by 12 spots the lowest in the field. He fell at the last when looking the winner to anyone watching, including the commentator. The Racing Post analysis of the race included the following remark “… should be up to winning races off this kind of mark…”. These words proved prophetic – Timeforwest was turned out under a 7lb penalty at Taunton on 30th March and won by 16 lengths. In each of these races the horse in question had shown a marked improvement in its first time handicap at the same time as attracting strong market support. None of this is to say that there has been a breach of the Rules of Racing in any of the above instances or that they fall within anything other than Category 1 (i.e. entirely innocent improvements). But what they do show is that, absent a breach of the Rules of Racing, the racing press rarely sees this kind of improvement as odd and indeed has come to expect horses to significantly outperform their pervious form as soon as they start racing in handicaps. Inevitably ‘stopping’ rides are always going to attract a great deal of attention. But regardless of how an artificially low handicap mark is arrived at (whether innocently or otherwise), the consequences are identical for punters. Those punters who have backed the horse in its maiden or novice races are bound to feel at least some degree of chagrin when they see the horse win when well backed in its first handicap. Furthermore those who back other horses in races in which the horse has subsequently improved are likely to feel that long hours spent poring over form have been a waste of time. The reliance upon and study of form is crucial to the survival of horse racing. Sports betting remains popular largely because punters believe they have, or can obtain, an ‘edge’. It is an opportunity for punters to test their judgment and their expectations of what a sporting result is likely to be. The term ‘unpredictable’ is often used to mean ‘uncertain’ but in fact the two terms are worlds apart. A sporting contest is by its nature uncertain because no one can be absolutely sure what the result will be. But what sports betting should not be is unpredictable in the sense that punters feel unable to predict the result regardless of how skilful they are. Unpredictability in that sense belongs in the casino, not in horse racing and performances for which a horse’s previous form offers no clue do no good for the image of the sport. But rather than looking for an explanation as to why so many horses are running off what turn out to be completely inaccurate marks in their early handicap races, it seems simply to be acknowledged that unpredictable performances have become expected simply because they happen with such regularity. This article does not constitute legal advice – see ‘Legal’.